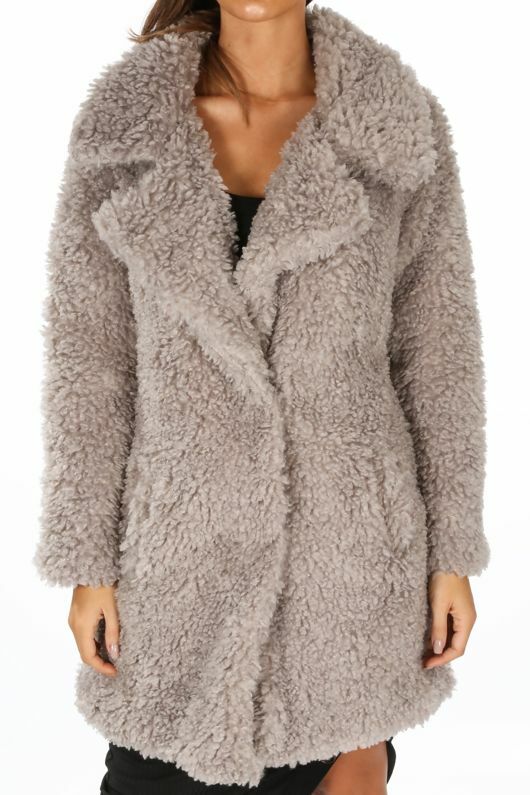 Look on trend while staying warm in the Grey Super Soft Borg Coat. This teddy style jacket has been made from a super soft borg fabric and is fully lined with a satin like material. It features long sleeves, lapels to the front, two pockets and is finished off with popper fastenings. Style it for daytime over your fave jeans and top combo, or go glam by layering it over a sequin dress for a night out with your girls.